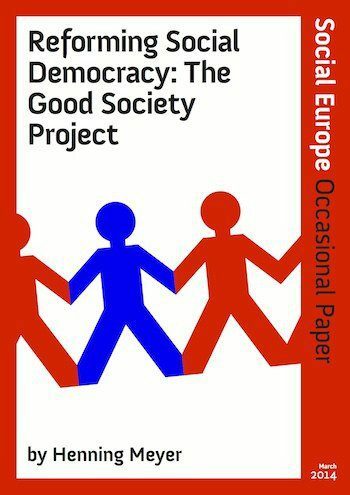 The Good Society Project, which has been developed and promoted by the Friedrich-Ebert-Stiftung, Social Europe Journal and Compass in the UK, has been one of the most innovative approaches to the reform of social democracy in recent years. It seeks to elaborate a new value-driven politics that sets out a realistic political path towards a better society. It has already inspired many political reforms. The expansion of the project has meant that there is now unprecedented global interest in this new politics spanning from Latin America to the far East. There is a lot of detailed work on policy specifics – published here on SEJ and in two books – but what has been lacking so far is an easy entry point into the debate. This new paper by Social Europe Editor Henning Meyer seeks to close this gap by setting out the basic ideas underpinning the Good Society approach. If you ask yourself what is the Good Society project and what does it try to achieve this is the paper you should read. It provides the backdrop to more detailed policy debates that are now led across the globe.